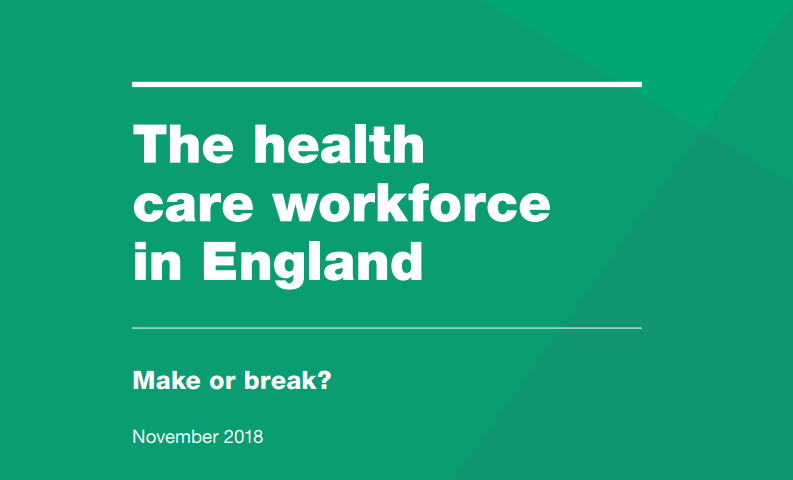 Using a new forecast of staffing gaps, this briefing argues that the workforce challenges in the NHS in England now present a greater threat to health services than the funding challenges. The briefing sets out five key tests which they believe must be addressed in the Long-Term Plan and supporting local and national workforce strategies. “In advance of the publication of the NHS long-term plan, this briefing highlights the scale of workforce challenges now facing the health service and the threat this poses to the delivery and quality of care over the next 10 years. It sets out the reasons why the long-term plan and supporting workforce strategy must address the urgent and mounting challenges facing the health care workforce.